Sergiy Garbuzynskiy was born 12.08.1979 at Kharkov, Ukraine (USSR). 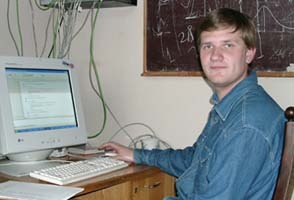 Graduated from the Kharkov State University (2001). Protein folding, Phi-analysis, Protein structure prediction.